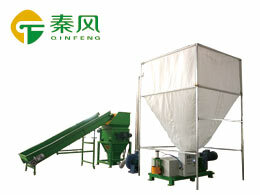 Plastic granulator – the price difference between the same kind of waste plastics may reach 3,000 yuan, there are many reasons, the most important of which is the quality of raw materials, the variety of waste plastics, sources and uses are not the same, Some black-hearted merchants use recycled plastic and some garbage plastics to mix with each other and sell them to customers as good recycled materials. Generally, customers who are not very familiar with recycled materials do not know much, so they are always deceived. At present, most of the products that can be recycled in China are thermoplastics because they are soluble and plastic. Different sources of waste plastics result in different degrees of utilization of waste plastics and different prices. This is why we call the price diversification of recycled materials. The first is the color, the lighter the color (even colorless and transparent), the wider the range of use, such as white, can be adjusted into a variety of other colors, can also be used as a white product, the same price is also high. Secondly, because of the needs of the product, various ingredients are added to the raw materials. At present, from the domestic market, the main content of CaC03 (stone powder) determines the utilization value of waste plastics. The more CaC03 content, the lower the price. From the naked eye, the product is not bright, dull (except matt), the CaC03 content will be more, and it will feel heavy from the hand. If it is burned with fire, the burnt part will turn red and become gray. In addition, we must pay attention to the enhancement (referring to glass fiber) products. At present, the enhanced products that can be utilized are only PA, PBT, PP, etc., and the price is not high. There are also a variety of alloy materials, currently there are only one kind of ABS+PC in China, and the others will not work. According to the specific gravity (density) of the raw materials, it can be judged whether the mixed materials can be reused. At present, the most problem is the mutual mixing of ABS and PS, the mutual mixing of PC and PMMA, and the intermixing of PVC flakes (bottles) and PE flakes. PE and PP are mixed with each other. After mixing these materials, the density is similar and it is difficult to separate them by common methods. Therefore, the mixed materials cannot be crushed materials, otherwise the price will be very low, even no one wants. Here also reminded the majority of buyers, and when buying recycled plastics, try not to choose crushed materials, because it is difficult to distinguish between several materials mixed together. Generally, the following steps are taken to identify the recycled material: look at the color; look at the brightness (the transparent material can be removed in this step); feel (feel the weight, smoothness); ignite (whether the flame color is smoked, whether it contains burning from the fire or It does not burn at all); smells (various plastic flavors, including flame retardants, etc. ); drawing (CaC03 is not good for drawing, and it is not strong for pulling).